NEWS - Welcome to SMS24/7 Smart Job Info! 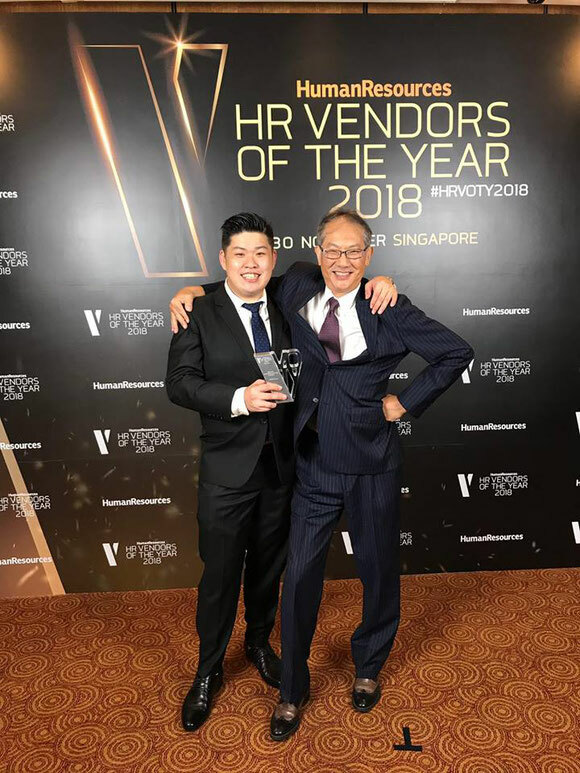 SMS24/7’s Directors, Masahiko Tsukuno and Daryl Koh attended the HR Vendors of The Year 2018 awards gala on 30 November held at Marriott Tang Plaza Hotel. As AI automates many recruitment functions and traditional recruitment agency business models are shaken up by new technology – which empowers employers to do a lot of the recruiting themselves – it’s increasingly di­ cult to be viewed as truly cutting edge in this field. Yet SMS24/7 is undeniably innovative, using technology to streamline and automate parts of the recruitment process. SMS24/7 provides a unique number for its clients to place in their advertisements. This number can be used across multiple channels, including newspapers, online or at the shopfront. Once a candidate sees the ad, they will SMS or call the hiring number and the SMS24/7 system will automatically respond with a series of questions to determine the suitability of the candidate. If the candidate fulfils all the questions successfully, they will be able to set an interview date and time with the company/ interviewer. When a suitable candidate responds, the system will automatically forward the candidate’s information to the client’s designated phone number or email in real time. All the interviewer needs to do is wait for the candidate to turn up and interview them. Through the SMS24/7 system, companies and their HR departments no longer need to handle numerous phone calls or plough through applications before interviewing qualified candidates. The system helps filter out qualified candidates and keeps the rest in a log for future use. 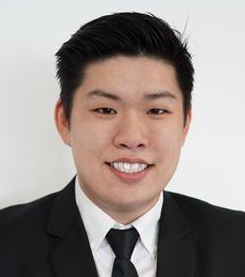 HRD chats with Daryl Koh, director, SMS24/7. 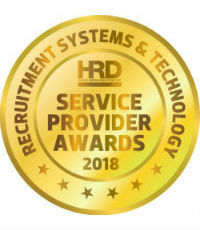 HRD: What does an accolade like this mean for your organisation – and why do you think what you do resonates so well with the end user? Daryl Koh: This came as a huge surprise to us, and we are extremely humbled and honoured to receive this award. We see this award as validation that we are doing the right thing, and we would like to thank all our customers that have believed in us and supported us throughout the years. We are focused on the end-user experience and making our customers’ lives better and easier. We also work on a subscription-based business model as it offers convenience, flexibility, and cost-saving advantages, which we believe help to build long-term relationships with our customers. HRD: In what is a crowded market, why do you think SMS24/7 finished so strongly? Is there anything you believe your organisation does ‘above and beyond’ to better serve customers? DK: As we focus on the user experience, we continuously look into simplifying the process of applying for a job for the applicant, while going the extra mile to understand how each company recruits. Then we personalise a system according to their requirements and demands. Attention to detail and creating an e­fficient and effective SMS system to cater to different recruitment patterns are also equally important to us and our customers. HRD: What question do you get asked the most by HR professionals, and what would you like to communicate to our readers? DK: The most commonly asked question by HR professionals is: “How are you different from a recruitment agency?” Unlike recruitment agencies, we work on a subscription-based business model as opposed to success fees. Our service runs solely on an SMS system, and everything is automated and operates 24 hours, seven days a week. That means applicants can apply for jobs during non- office hours and even on weekends, and companies never have to miss out on a qualiﬁed candidate again! Our service can also handle large-scale recruiting projects, and as many as, or more than, 1,000 candidates in a short amount of time. HRD: The area SMS24/7 operates in has been disrupted by technology. What’s next in this space? DK: We are constantly exploring new features to enhance our system and user experience, and we’ve recently launched an automated referral system for companies who are considering implementing this in their hiring process. We are also in the midst of designing an automated appointment reminder service, and what that means for our customers is potentially saving tons of valuable time that would be wasted calling up candidates to schedule or remind them of upcoming interviews. This frees up time for our customers to focus on more productive tasks and on interviewing the candidates.